This flexibility story comes to us from Christie Peretti. Christie spent 20 years building respect in a high-stress career that left her proud of her accomplishments, but tired: tired of missing family events, tired of an unhealthy lifestyle, and tired of the rat race. Introduction to a more flexible option helped her to bring her life back into balance. Over the course of 20 years I built a thriving career, driven by a relentless work ethic and hard-won knowledge. I had a high-level, high-stress position, and I was really, really good at it. I had worked my way from an entry-level post to a top management role, and I was proud of myself. But a thriving career didn’t make for a thriving Christie. I worked constantly and it put a huge strain on me—mentally, physically, and emotionally. Half of every day I spent on the clock, plus more time on call, plus additional work on the weekends. My health, my personal life—what were those? I didn’t have any time for me. When my friends wanted to go out for happy hour, I never made happy hour. If I wanted to stop at the mall, it was closing by the time I got there. I missed a lot of family parties on the weekends. I felt like my whole life was me working. On top of it all, I was struggling with debt and needed a second job, but I knew I couldn’t apply for anything with set hours. In the end, I found an option that would work for me: direct sales. With flexible hours and a commitment level that I could set for myself, I found it was the best choice for a second job that would complement my career. Finding the right position was a little bit harder. Luckily, a little over two years ago, I managed to grab a few free hours with a friend. It feels almost like fate now. We were discussing my latest direct sales disaster over a bottle of wine. And while we were talking, my friend got a text about a networking event for work-from-home jobs. Because we’d been enjoying that wine, we were drawn straight to Traveling Vineyard, a company that markets exclusive wines through free, in-home wine tastings. That night, that random text my friend received, that coincidental bottle of wine, changed my life. 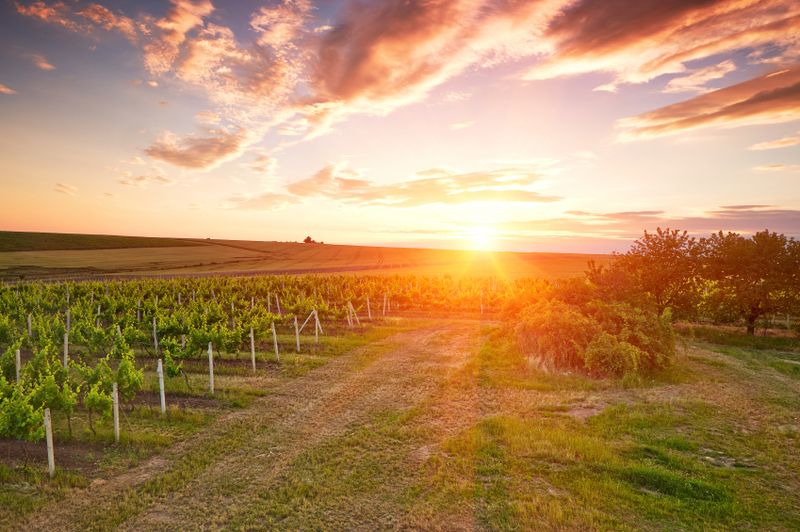 I started working with Traveling Vineyard in a business model with no mandatory minimums or extended commitments, and I was able to make my schedule work smoothly. Since I’d picked a job that was all about setting your own hours, it drew other people that understood what it meant to have a crazy schedule and a crazy life. I really liked all of the new people that I met, both my colleagues and my customers. So I was getting a little relaxation and social time, even at work. Then one of the new friends I’d made helped me make some other positive changes to my job situation. She knew of a job, similar to the full-time one I had, but at an easier pace. I weighed my options: Things weren’t going to get better where I was, and life is very short. I took a new full-time position in a completely new industry. It changed my life, again. Now I don’t work 12-hour days, I work eight. I don’t work through family events, I take vacations, I control my own schedule. I also work the direct sales job on the side and it allows me to meet new people, get better at public speaking, and grow as a businesswoman. I’m paying down my debt and my health is improving. But the best thing is that I can breathe. I’m not a slave to either of my jobs. I can see new possibilities. I’ve had a taste of freedom, and it’s giving me ideas. A few years ago it would have been unthinkable for me to give up a traditional full-time job, but now I’m working on building my side career—with its flexible hours and simpatico people—into a full-time job. At my own pace, and without sacrificing my health or my family, I’m setting up a future where I control my life and I control my priorities. Because this is what I tell my friends when they find work trying to take over their lives: Your happiness should be first. I took the leap, and now I’m not just happier, I’m finally going to happy hour with my friends. Cheers! Beautifully written! Congratulations my friend xo I am so glad the Traveling Vineyard brought us together!! Brave, elegant and inspiring! You were able to recover the real sense of life and the chance to reinvent yourself. If your heart and your spirit feels that this is your pathway, keep on all the way. Beautiful story! I’m so glad to know you and call you my wine sister. We have similar goals and a similar experience in our day jobs, great that you made a change! That could not have been easy. I’m so grateful to this company for similar reasons. Very inspiring, thanks for sharing Christie.